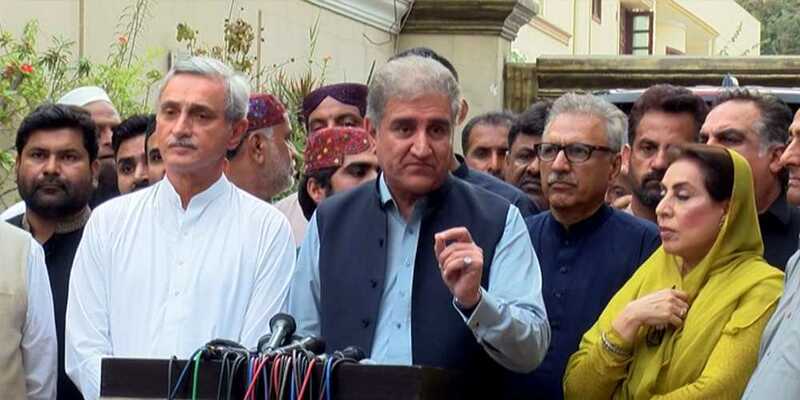 The Grand Democratic Alliance (GDA) on Thursday assured unconditional support to Pakistan Tehreek-e-Insaf (PTI) in the government-formation process at Centre and be part of the opposition in the Sindh Assembly. A delegation of the PTI led by Shah Mahmood Qureshi and Jahangir Tareen held a meeting at Kingri House in Karachi with leaders of Grand Democratic Alliance (GDA) led by Pir Pagara and discussed process of formation of government and role of opposition in Sindh Assembly. The GDA delegation led by Pir Pagara, included Ex-Speaker National Assembly Dr Fehmida Mirza, Syed Ghaus Ali Shah, Dr Zulfiqar Mirza and others. The meeting also discussed future strategy on how to give tough time to the Pakistan Peoples’ Party-led (PPP) Sindh government. During the meeting it was decided that the PTI will take the GDA in confidence on decisions pertaining to Sindh. Talking to media after the meeting, Pir Pagara said that the GDA will support Imran Khan and the PTI in all circumstances for the betterment of the country. Speaking on the occasion, PTI leader Shah Mahmood Qureshi said that they will take everyone for the development of Sindh province. He said that both parties will be part of the opposition in Sindh along with the Muttahida Quami Movement (MQM), and the joint opposition will decide the future course of action in the Sindh Assembly.